Stacker Crayons VS Classic Wax, the choice is yours - Activity Packs, Children Activity Packs & Kids Colouring Packs - Packme Ltd.
Packme produce classic and multi-colour stacker crayons, both off the shelf and bespoke. Crayons are great colouring utensils for kids as they are non-toxic and do not require vast amounts of supervision whilst in use. They are a cleaner, quicker and safer alternative to pencil and paint. Colouring is a great way to improve young children’s creativity and is also a great way to help them relax. Our classic wax crayons come in an assorted box of red, green, blue, yellow, orange & brown. 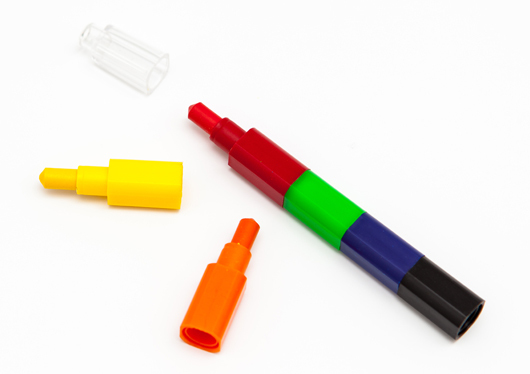 Our stacker crayons are made up of 6 colours: red, orange, yellow, green, blue and black. These crayons are great if you are looking to give children something to take home.